The all-seated King Power Stadium, has capacity to accommodate 32,500 supporters and is named after the former shirt sponsors. It offers unobstructed views from every seat and is a very impressive built both inside and out. There is room and planning permission for future expansion which could see the ground seat over 50,000 spectators. However, regular Premier League football would certainly be required before any work would ever take place. 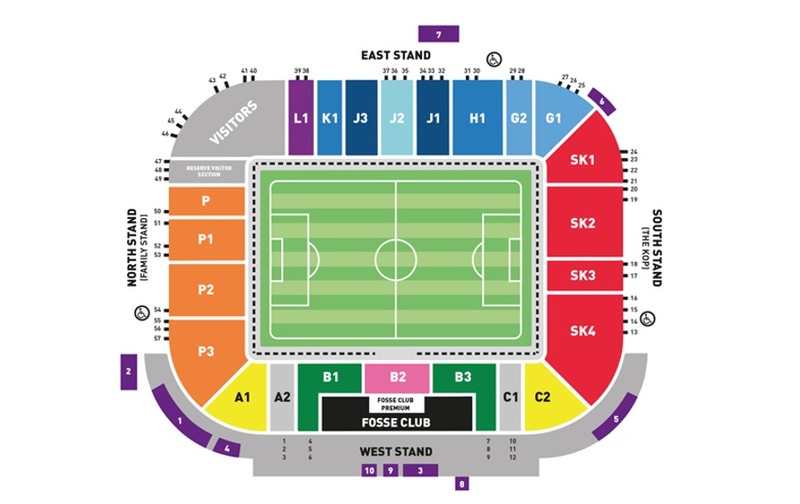 Approximately 3,000 visiting supporters can be housed in the North East corner of the King Power Stadium. The Facilities within the stadium are excellent as they should be for a relatively new stadium whilst the view of the playing action is unrestricted. The refreshment outlets inside the King Power have a decent range of hot and cold food and drinks all at decent prices. For those arriving by train, The Hind across the road from the station serves a selection of real ales whilst the Swan and Rushes is quite a decent pub with a mixture of home and away fans. It offers a wide selection of beers and simple food and is recommended. The town centre offers a selection of the usual fast food outlets including McDonalds, Pizza Hut, KFC and Burger King. Street parking is available within a 10-15 minute walk of the stadium if you arrive early enough to take advantage of it. Alternatively, for £3 you can leave your car in the secured car park at Leicester Rugby club. It's surprisingly easy to get away from after the game so it comes highly recommended. 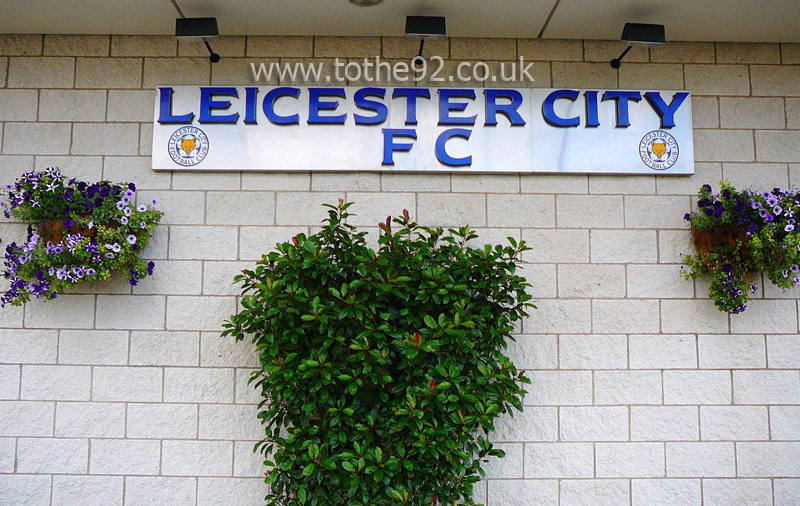 The nearest / closest train station to Leicester City's King Power Stadium is Leicester. The railway station on London Road is around 20 minutes walk from the stadium. Exit the station, cross the road and turn left. If you follow Conduit Street round to the right you will come to a left turn onto Waterloo Way. Keep the main road to your left as you walk along and after half a mile you'll need to take a right onto Aylestone Walk then after 100 yards, a left onto Ayleston Road. Continue along here for about 5 minutes until you reach a right turn onto Raw Dykes Rd. If you continue to follow this road for a couple of minutes the ground will become visible up ahead on the left. Travel: I drove from Manchester to Leicester, very direct drive no real issues, but road works on the M6 meaning slow movement through. I parked up in a dodgy looking car park right next to the official permit parking for a fiver right by the ground. Walk to the ground was therefore very easy and easy to find the car after the game. Refreshments: The official away pub was a 45 minute walk away and didn't fancy that so went into a pub which was full of Leicester fans, had no trouble at all, just a friendly chat about footie. I didn't drink because I was driving. There isn't much around the ground, a pub, a supermarket and car dealerships. Got bored very easy and went for a walk around the ground. Impressions: The ground is a typical basic stadium. They were giving out free bottles of alcohol to home fans only (CHRISTMAS PRESENT BY THE CHAIRMAN). We weren't aloud. The hospitality looks like a premier inn hotel but the ground had a new feeling to it. Going inside, I love the design of balconies within to get into the seats, blues crowded down in the concourse singing up to kick off, previous ties between the teams highlights were being shown and had a sign welcoming us. The staff had a t shirt on say blue moon you saw me standing alone which I found unusual. View from seats to pitch was excellent and the atmosphere between the clubs was fantastic. Facilities: Stadium Facilities better than some stadiums (Goodison, Selhurst, Carrow) had no issues. Exit: Very easy to get out and into the car, no problem with home fans, traffic out of Leicester was a nightmare though but once on motorway was fine. Enjoy: Would of enjoyed the game more if I didn't drive 230 miles in total for a 0-0 but I would recommend it if you can create a good atmosphere, not a bad place to go. 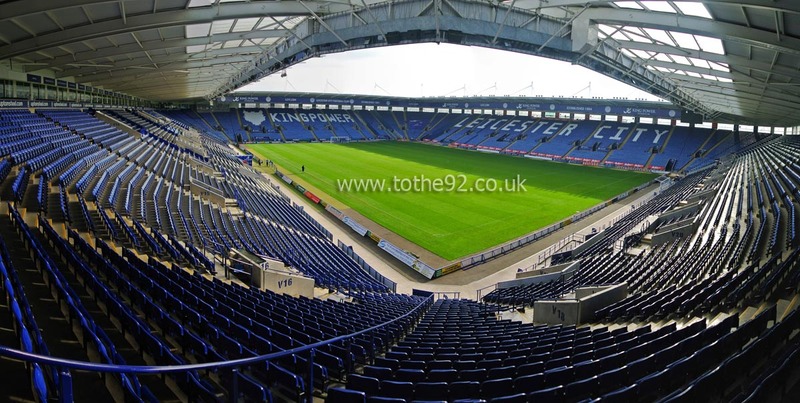 Have you been to Leicester City's King Power Stadium? To tell us about your experiences and to feature on the site, simply complete the fans review form below!